Great for recording, practicing, experimenting, and travel! 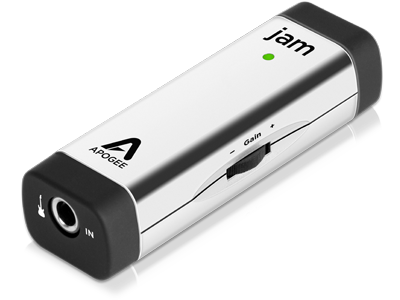 The Jam far exceeds the other connectors by Griffin, iRig and the like. No feedback, solid connection to the Pad, and gives my cheaper axes a nice “direct box” punch of fatness. Further, this can connect via USB to computer–no one trick pony here. Apogee’s got a great reputation for a reason. Perhaps would like a way to anchor the device to a table when using with the Pad. Works great with GarageBand.